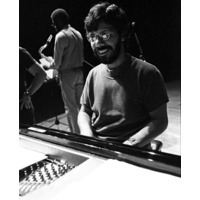 Armando Anthony "Chick" Corea (born June 12, 1941) is an American jazz pianist, keyboardist and composer. Many of his compositions are considered jazz standards. As a member of Miles Davis' band in the 1960s, he participated in the birth of the electric jazz fusion movement. In the 1970s he formed Return to Forever. Corea continued to pursue other collaborations and to explore various musical styles throughout the 1980s and 1990s. He is also known for promoting Scientology.